What kind of snacker are you? If you opened your pantry right now, would it be full of chocolate bars or granola bars? To many of us a snack is a snack. It's merely something to munch on when you get the urge to eat between meals. But lots of times the only thing within easy reach is a Hershey's Kiss or a doughnut (curse you, snack table!). But these 'junk foods' are full of empty calories and not much else - little vitamins, minerals, all that good stuff. They're not very filling, either. What's a better option? 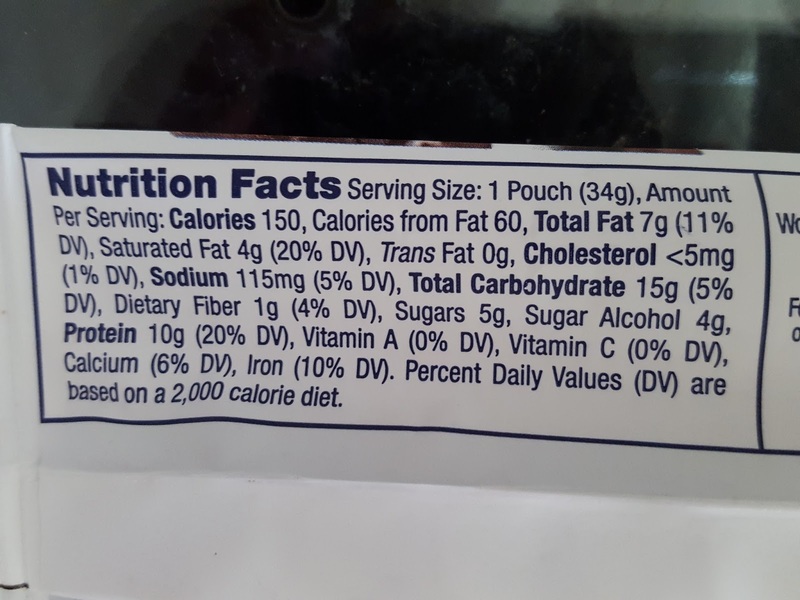 Consuming calories that come along with nutrients. High-fiber cereals, granola bars, and fruits all contain "good stuff" that helps your body function while also providing calories for energy. 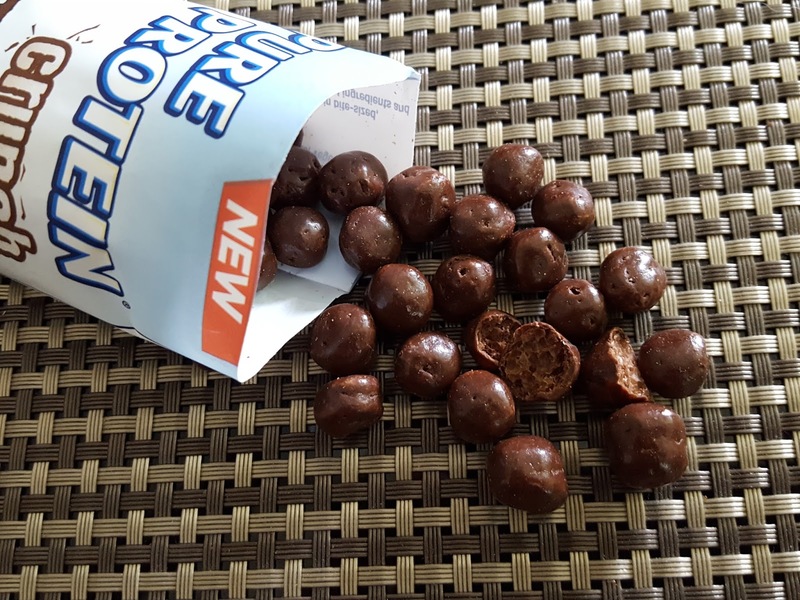 And if you live an active lifestyle you might want to opt for a snack with protein such as those from Pure Protein. Why protein? Protein's main function is for recovery. It builds and repairs tissues (hair, muscle, skin, organs, etc). If you've ever looked around at the gym, you'll see lots of people drinking protein shakes after their workout to aid in muscle recovery and growth. But even if you don't want those big honking muscles, your body still needs some protein for routine maintenance. And if carbs and fats are scarce, your body will turn to protein for energy. 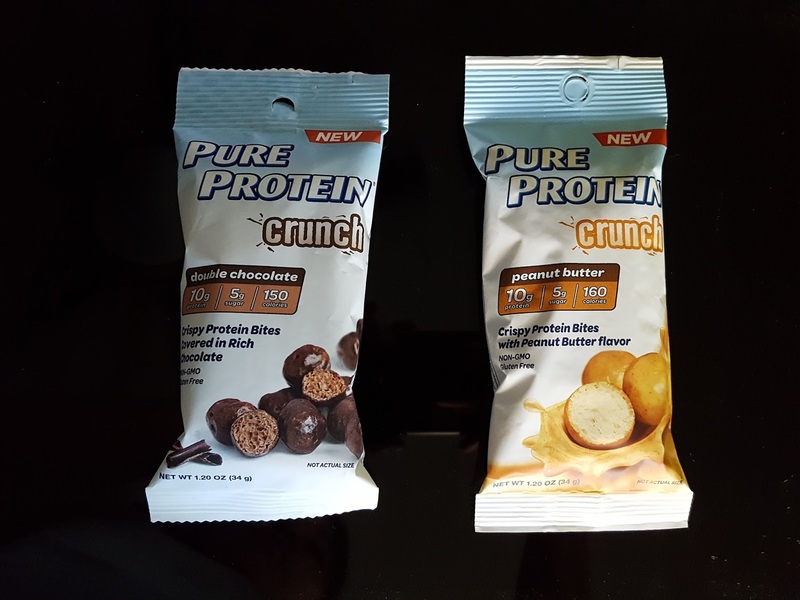 Pure Protein Crunch comes in two flavors, double chocolate and peanut butter. Each pouch contains 10 grams of protein per package, or about the same as 1 oz of chicken. 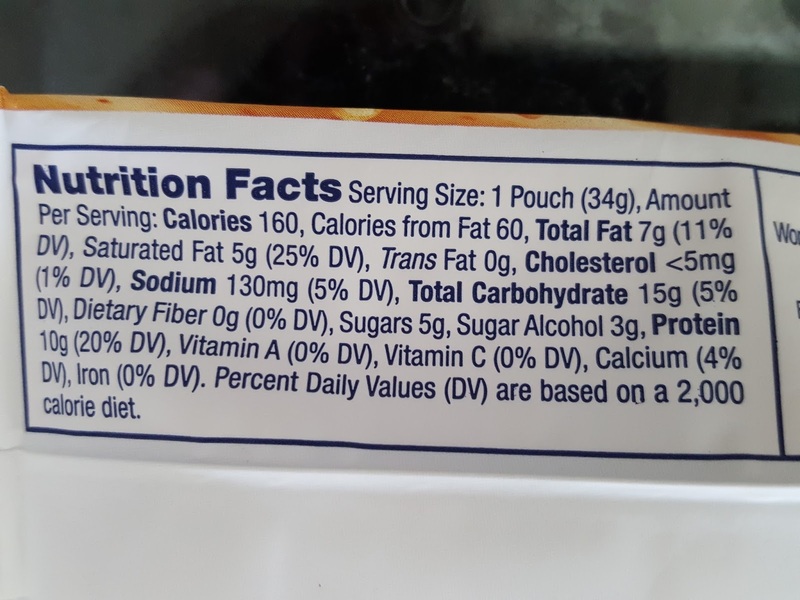 Ideally you should eat at least 0.5 g/lb body weight per day, so while one bag won't satisfy your protein requirements for the day (unless you're 20 lbs), it sure helps in a very tasty way. Speaking of tasty, these are indeed very yummy. I personally prefer it over that ounce of chicken. And what's not to love, you get to choose between chocolate and peanut butter. In my perfect world chocolate would be a food group and peanut butter would be a vitamin. Reeses would be a staple food. But I digress. These crunch bites remind me of pretzel M&Ms. Chocolately on the outside (or peanut buttery), crunchy and airy on the inside. 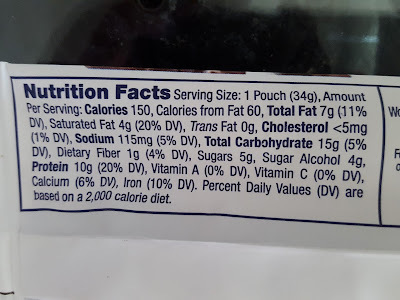 Sadly it didn't fill me up, but in all honesty no snack ever does regardless of how heavy or fiber-rich it is. And speaking of fiber, you won't find much in here so you can't ditch the apple a day. It is a good source of saturated fat though, so if you're on a diet you might want to reach for something else to tide you over between meals such as Greek yogurt. If not, crunch on! Note: This post contains referral links. 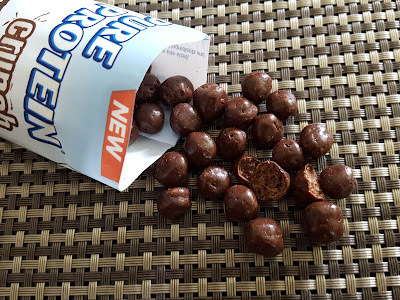 I received Pure Protein Crunch complimentary from Smiley360 for testing purposes. This post reflects my honest opinions about this product.